Please choose a link below. To find out more about what’s happening in the school, you can find out more in our School Newsletter here. The school’s Parent Handbook answers your questions on many subjects relating to school life. It also includes our “Parent Code of Conduct”. There are many areas of the school that thrive with extra input and help, and we are always grateful for volunteers. The annual event in the school calendar that involves the whole school community is the Open Day and Fair, which takes place in October. It is supported by volunteer work from the parent body. The school communicates events via the weekly Newsletter and is grateful for the help and support of all parents able to help out in the lead up and on the day. The LYSS Fundraising group is run by parents, who hold activities to raise funds for various projects around the school. If you have an interest in this area please contact our office on office@lyss.vic.edu.au. The Fair Coordination Group is made up of parent volunteers, administration and maintenance staff. This group coordinates and oversees the Fair component of the annual Open Day and Fair. If you have an interest in this area please contact our office on office@lyss.vic.edu.au. The Community Gardening Group meets on Wednesdays 9:30 a.m. with Matt Daniele on the farm. 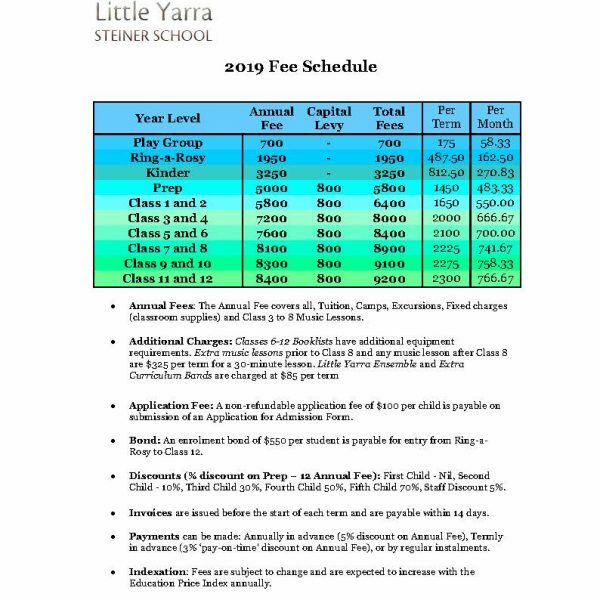 For more information contact Matt at school on (03) 5967 1953.